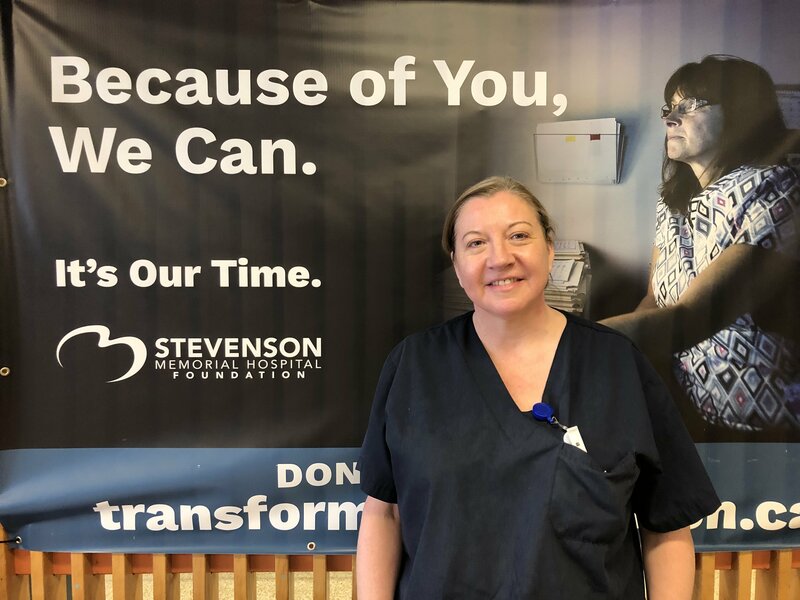 Paula Broderick is a member of Stevenson Memorial Hospital's Environmental Services Team. Paula, along with the rest of the Environmental Services team, is key to ensuring that our patients have the best experience possible in their time at the hospital. From preparing patient rooms and stripping linens, to cleaning offices and bathrooms, there is a lot of work for our EVS team to manage. "Some days are really hectic! Don't get me wrong, I love what I'm doing, and it gives me satisfaction to help the patients up there, but it is a heavy work load." While not originally from Alliston, she has called the city home for almost 11 years. Paula worked with Honda for 9 years before making the move over to SMH. It's been a change of pace, but the people she gets to work with make all the difference. "When I see some of these old people upstairs--my parents are still alive, they're in Newfoundland--I would hope that someone would treat them (my parents) the same way that I'm treating them (the patients). When I lie my head down at night, I want to think 'I did a good deed that day', you know what I mean?" Paula and the entire EVS team work hard to ensure that the hospital runs smoothly. They aren't just cleaning, they're saving lives! Thank you all for the amazing work.